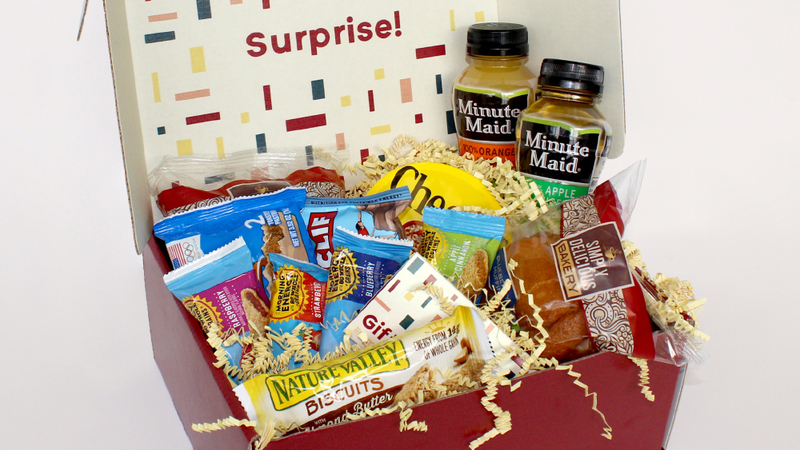 This package has everything on-the-go students need start the day right. Free in-store pickup at Gopher Express in Coffman Memorial Union, located in the heart of the East Bank campus. A free game of Bowling at Goldy’s Gameroom will be included when you choose to have your care package picked up at Gopher Express. All deliveries occur Monday – Friday, 9 a.m. – 5 p.m.
On campus deliveries, including Residence Halls, are subject to a fee of $5.99 plus tax. Gopher Express does not guarantee delivery in every instance and reserves the right to reject any order in the exercise of its reasonable discretion. Gopher Express shall not be liable for incidental, special, or indirect damages of any kind arising out of this order. Customer agrees that the maximum liability of Gopher Express for any direct damages arising out of this order shall not exceed the amount of the order itself.